Today we have Chunyuan with this AMAZING card using our Handwritten Notesand Rounded Diamonds clear photopolymer stamp sets. What a happy and cheerful card. Simple and beautiful. Just the way I like it! Be sure to stop by Chunyuan's blog for more details on this project!! 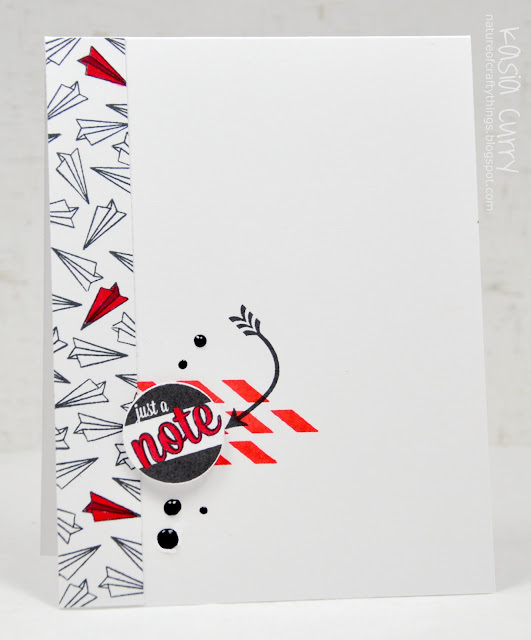 Kasia created this bold note card using our Air Mail clear photopolymer stamp set. Don't you love how she inked up a part of the striped frame to make those red and white stripes? Kasia showcases how many fun possibilities this set has! gorgeous and sleek!! great designs! So gorgeous and clean and CAS. Lovely work ladies. Love these, especially the second one. Quick and easy, I'm all over it.